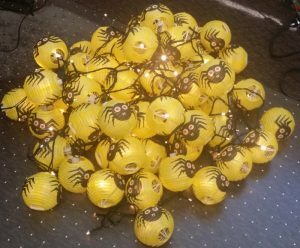 Last year I bought a heap of battery operated 10 LED spider lantern sets off eBay. They were selling mostly for $10 – $15 a set, but I got mine for $1 or $2 a set posted! At the time I modified a few sets for 12V operation by adding a resistor and 2 pin connector. 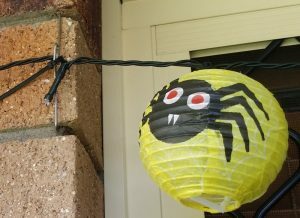 For my 2018 Halloween display I wanted a much longer string, so pondered how to do it. I used a 250 LED set of warm white LEDs from Kmart ($15). Here’s the string with 63 lanterns fitted (every 4th LED). At this point they are still running from the original MFC. The 24V DC cable tail has been fitted. 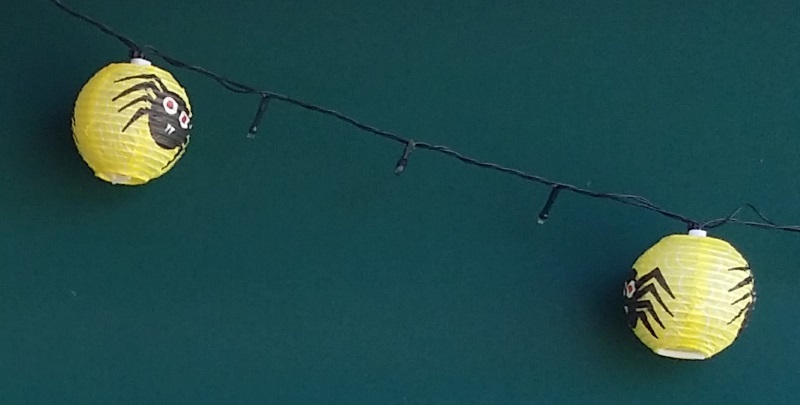 Every 2nd LED was already “dark” as I used a DC supply. I just had to heatshrink the other 62 unwanted LEDs. 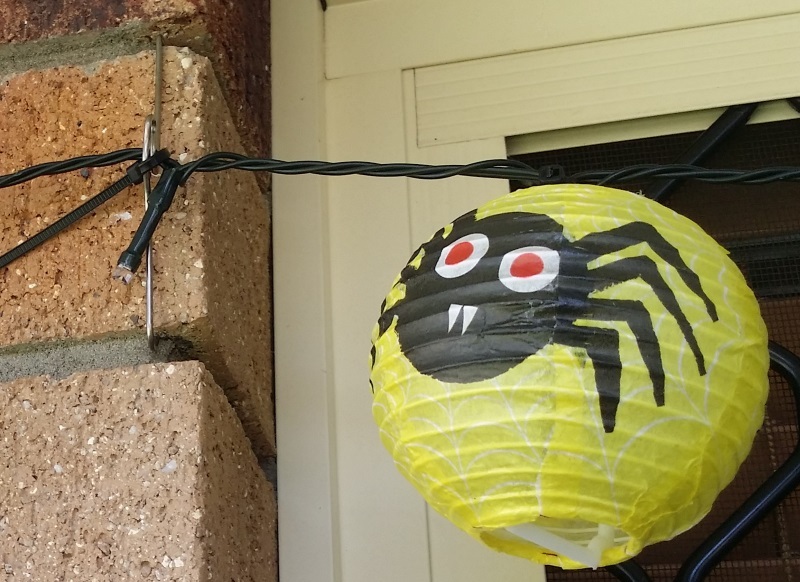 Bric Crabs were used to secure the string to my brick work. I’m quite happy with the result and that I have a unique item.